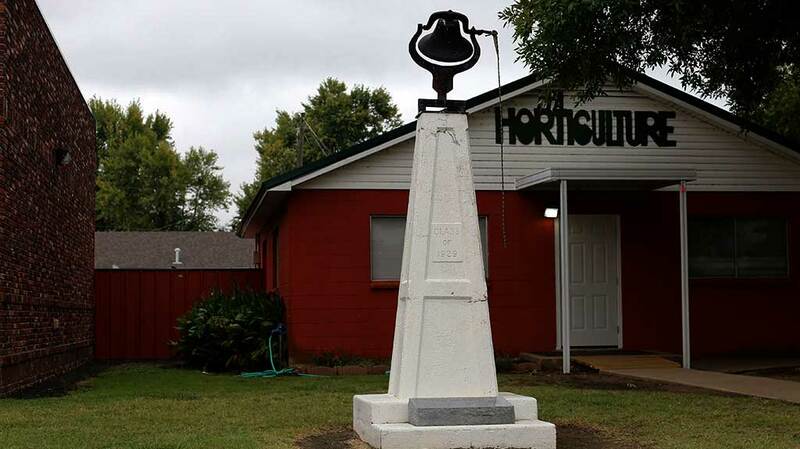 MORRIS, Okla. (Sept. 23) — Morris High School here won state championships in girls’ basketball in 1966 and in 1967 and state championships in football in 1983 and 1985. In between those two, in 1973, Anita Hill graduated as valedictorian of the high school class. The school also has teams in fast-pitch softball and baseball, which are fall sports in Oklahoma, boys’ basketball, track, golf, wrestling, cheerleading, and power lifting. The marching band, with about 50 students, hasn’t won any state championships but has a strong esprit de corps. Musicians have a full schedule this fall, including expected appearances at next weekend’s marching festival at Owasso High School, the following weekend at Bixby High School, and then on to the state championships, first for the Oklahoma Bandmasters Association and then for the state’s high school athletics and activities association. With 18 full-time teachers, the high school serves about 320 students and is located in a rural community some 40 miles south of Tulsa. More than half the students are classified as economically disadvantaged, and about 43 percent are minority students, of whom more than half are of Native American descent. 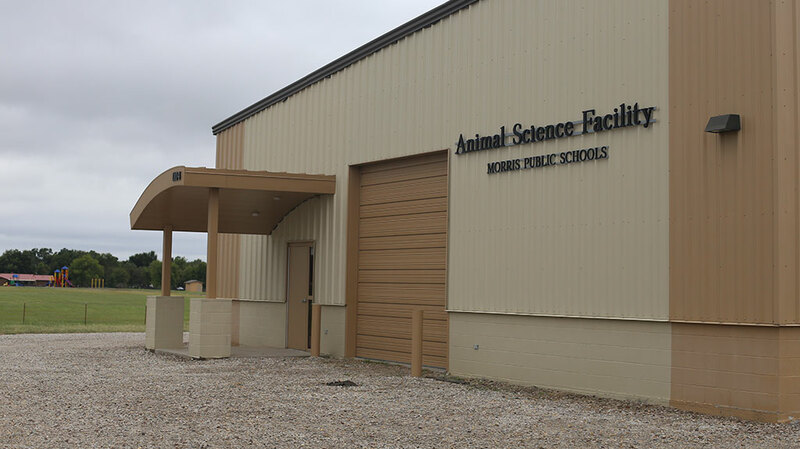 Things haven’t changed much here since Ms Hill graduated, but the district has upgraded a few facilities, including an animal science building just north of the school campus. Test scores show that students work just as hard today on academic achievement as they did when Ms Hill attended the school. Those scores are unusually high for a school with student demographics similar to those at Morris. About 90 percent of students scored proficient or above on state tests in reading, compared to a statewide average of about 70 percent, and the state estimates that proficiency rates are about 4 percent higher than would be expected, given the school’s demographics. And if strong roots in agriculture shape students who attend the school—shown by an active Future Farmers of America club—it’s the love teachers have for their students that keeps the school strong one generation after another. “All of my teachers were great educators with a great love of their students,” one woman who attended Morris and whose granddaughter is now a junior at the school wrote on Facebook. High school life here in Morris shows a strong Christian presence, even in the public schools. Just next week, the FCA association, which stands for the Fellowship of Christian Athletes, gets prominent mention in the daily announcements (“Christian students meet together once a week to strengthen and encourage each other. FCA is not limited to athletes alone. Regardless of whom you are or in what activity you are involved, none of that changes who you are in Christ,” the announcement reads). The “See You at the Pole” event, where students meet near a flagpole before school, takes place on September 26. Christian churches have a powerful presence in many rural communities like this, to be sure. In Morris alone—the town covers less than 1½ square miles—six Christian churches are pretty much within walking distance of the high school. On my visit, I could only find two restaurants that close: a small pizza parlor and an ice cream shop. Mr Kavanaugh attended an all-boys Catholic high school, the Georgetown Preparatory School. Supreme Court Justice Neil Gorsuch and Federal Reserve Chair Jay Powell, also prominent appointees of President Donald Trump, attended Georgetown Prep as well. As a student, Mr Kavanaugh played football and basketball and wrote for the school newspaper, the Little Hoya. He graduated in 1983 from the school that says it’s the oldest Roman Catholic boarding and day school for boys in the country. It doesn’t help matters that several high-ranking officials in the Roman Catholic Church have been accused of, found guilty of, and are serving prison time for sexual misconduct involving minors, which is the nature of the complaint against Mr Kavanaugh. Coming from the “oldest … in the country” of anything only makes people more suspicious of cover-ups. Even in public schools, football players have been accused of and found guilty of abusing younger female students, and given the coincidence of these several factors, a careful hearing and investigation would seem to be in order, especially since we are now discovering so many cases from schools around that time where sexual assault and abuse went unreported. And of course, none of us are innocent of foolish or reckless behavior when we were in high school. What needs investigation, though, are the statements Mr Kavanaugh has made since that time about it. Following Mr Thomas’s confirmation, women seemed to rise in political power, leading 1992 to be dubbed “The Year of the Woman.” But that was before Facebook and Twitter. Now, women have a much more efficient vehicle for getting their message out. Be the first to comment on "The Year of the Woman, #MeToo, & Supreme Court"